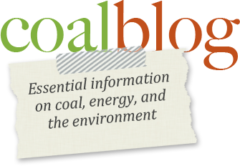 Heads up Coalblog readers! This is the last week to book your room reservation at the discounted rate for the 2014 Coal Market Strategies Conference in Park City, Utah on August 11 – 13! J-Power’s Portfolio and Coal Plans: Japanese international supply/demand perspective, coal needs for J-Power’s plants in Japan and overseas, coal quality and plant efficiency considerations, and technological development/low-carbon initiatives. Korea East West Power’s Coal Outlook: Korean coal demand and supply outlook; EWP’s near and mid-term coal demand and long term coal development plans in Korea and overseas, coal quality considerations, supply sources, and competitiveness of U.S. coal. Strategic Worldview of Ambre Energy: Australian and Indonesian coal market dynamics, near-term challenges of continued global oversupply and prospects for re-balancing, strategic factors affecting competitiveness of U.S. coals in the Asia Pacific market, and Ambre Energy’s continuing initiative to develop U.S. Pacific Northwest terminals. Global Shipbroker Perspective – U.S. as Coal Exporter….and Importer: International ocean freight and coal market/logistics dynamics relative to prospects for both U.S. coal exports and imports, Panama Canal expansion impacts to freight patterns and dry bulk/coal vessel supply, demand, and orders, freight spreads and impacts to U.S. coal export thermal market participation.